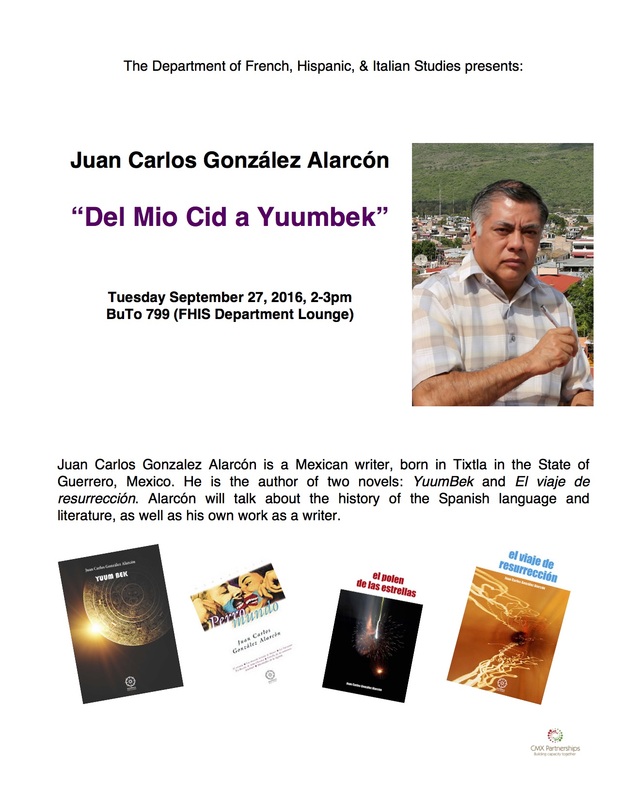 Juan Carlos González Alarcón is a Mexican writer, born in Tixtla in the State of Guerrero, Mexico. He is the author of two novels, Yuum Bek and El viaje de resurrección. 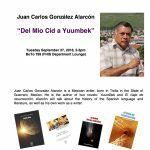 Alarcón will talk about the history of the Spanish language and literature as well as his own work as a writer.